Application closing date will be on 20 June 2010. Tools will be on loan for the workshop. You could bring additional material such as paper, fabric, thread, string & decoration. 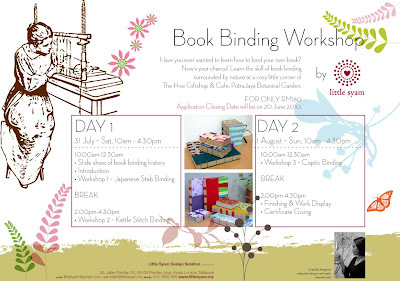 Extra binding kit are available at minimum price during the workshop. 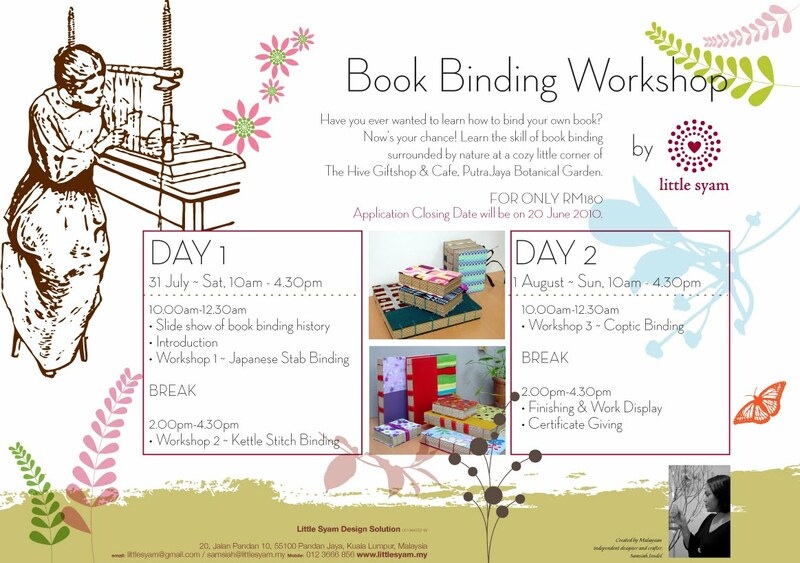 Full Refund: Minimum 5 days prior to workshop date. No Refund: Cancellation less than 5 days before workshop date. Should class be cancelled due to unforeseen circumstances, fees will be fully refunded. Since the venue can only accomodate maximum of 12 students, the application will be on first-come, first-served basis. For the workshop we can accept children from 12 yrs old.